Mount Moriah, your country project, released its third album earlier this year. Has playing in that group had any effect on your writing and playing for Horseback? From the beginning, Mount Moriah has engaged directly with the canon of classic rock and country music — the “pop music” of my childhood. That kind of classic songcraft is challenging and rewarding in its own way, but it has also made me want to push further out with my other musical projects. Or maybe it has simply fulfilled whatever need I have to play music that other people like, so that I don’t feel any external constraints in Horseback or Rose Cross NC. 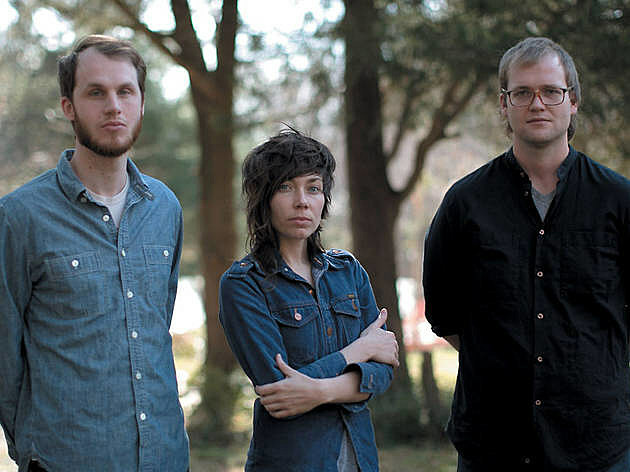 North Carolina alt-country trio Mount Moriah released their great new album How to Dance earlier this year via Merge. We just interviewed band member Jenks Miller about another of his projects, Horseback, over at Invisible Oranges, and that’s an excerpt (related to the Mount Moriah album) above. Read the whole thing HERE. Mount Moriah have now announced another run of dates in support of the album, which they’re saying will likely be their last shows of 2016. The dates include a NYC show on November 16 at Rockwood Music Hall with Jake Xerxes Fussell. TIckets for that show go on sale Friday (8/12) at 10 AM. All dates are listed below.